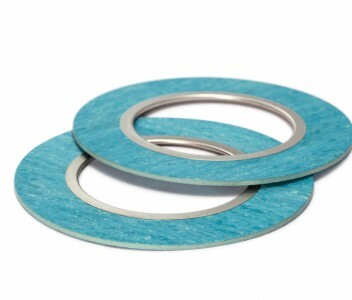 Gaskets with metal inner eyelet offer special protection against blowout where sealing critical or dangerous substances. The austenitic stainless steel inner eyelet offers excellent protection for the soft gasket material against erosion and corrosion, while it also prevents contamination towards the medium within the pipeline. More information regarding gasket materials? We make sure that our policies protect all of us and are fair to all. We want you back for all your future sealing needs as well. For General Terms and Conditions of Sales click here. Find company information at DONIT TESNIT d.o.o., information about gasket sheets at DONIT® Gaskets Sheets and information about gaskets and sealing solutions at DONIT® Industrial Solutions. Legal Documents | © 2019 DONIT TESNIT d.o.o.